Crowdsourcing is a community effort. It should be a win-win process that leaves everybody satisfied: you with the results and the other participants with the experience they’ve had. Here are a few tips on what you can do to make your crowdsourced project a success with the help of social media. Define your crowd, know who and what you are looking for. If you are looking for people in some specific geographic or language area, or demographic, make sure those people notice you. Get publicity! Share information about the project on your Facebook page, in your user forum and tweet about it. Tell about it to your friends and colleagues, anybody who is affiliated with you or your software. And also do encourage your users and translators to do the same. Have them share their translation progress and invite their friends to work with them. But: don’t push too much promotion into the same channels. If you flood everybody’s Twitter timeline by looking for translators 40 times a day, you’ll probably just end up unfollowed or blocked – or both. Do remember common social media courtesy! Give your project an appealing flair in the working environment of the contributors. Make sure it has nice descriptions and graphics. That will make it even nicer to start working on it, and will be an advertisement for your project. Could you reward your translators in some way? That is not something you must do, but will be a nice bonus for the people. (And you have to motivate them somehow.) It can be a free license, maybe a giveaway of some sort or a mention in the credits or promotion in your community. Only your imagination is the limit. Think about what you would think as rewarding for participation, and you have a good indicator of what might do the trick for others too. Of course, already sheer participation might be rewarding. Check-up on your project regularly so that you can reply to any questions from the crowd. Don’t let the work of your community be stuck anywhere. Respond to feedback. Remember not only to be there when someone loves your project, but also when someone is critical. If you handle the situation well, you might even turn critics into promoters. Remember communication at all times! Tell the community how the work is progressing, thank them for their efforts, do pep talks, whatever feels natural for you. Through your own engagement you show that your project is important! Allow enough time when working with a bit more unusual languages or other groups. For example, it might not be a wise bet to expect that you gather a crowd for Hausa translations over night and have your task ready instantly, unless you know your crowd very well and have engaged them already before the start of project. Greetings from Las Vegas! Microsoft’s annual developer conference MIX 2011 is currently on-going. We’ve also attended to this event to gather some information about recent developments on the planet Microsoft. One of the hottest topic here is clearly Windows Phone. There’s new version coming up, code name “Mango” a.k.a Windows Phone 7.5. They claim it will introduce around 1500 new API’s, 16 languages and the marketplace will be available to 35 countries. We can confirm these when SDK will be available next month. What this means for developers? Microsoft is hugely investing in creating the best possible development platform and from our point of view, it really looks like they’re in the right path with it. 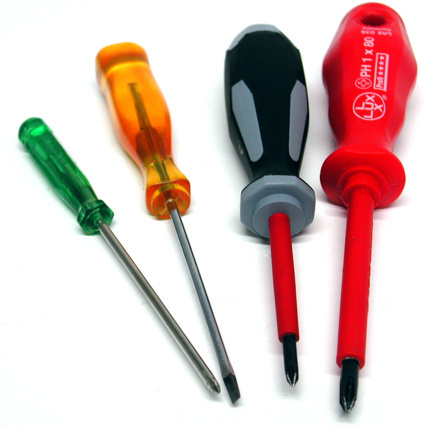 Developer tools that are now provided for free corporate features that were previously only available in the most expensive tools. I’ve personally worked with quite many development environments from different manufacturers so I’m not easily impressed but what I’ve seen here really look cool. Of course, we have to see how they work in practice. New API’s bring WP up to the level where it can really compete with others as well. I wasn’t impressed by the first version as it was lacking a lot of important API’s but as they are now introduced in 7.5, I’m actually looking forward to developing for it. On the negative side, lack of native SDK is a disappointment. I’ve discussed with Microsoft guys, and signals I got was that we should not even expect to see it. This means that bigger open source projects like Firefox can’t really make appear on Windows Phone. However, in the end I can see rise of Windows Phone good thing for developers. It will take some time to get up to the level of Symbian or Android in terms of features or API’s but eventually I can see this platform as a winner. 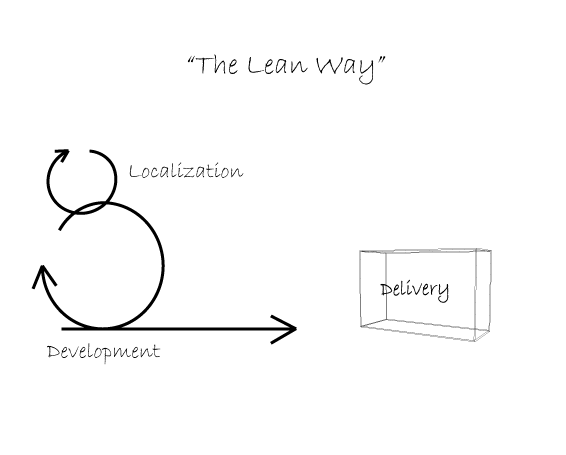 Agile/Lean Localization: Tell us what it means? We are defining what Agile/Lean Localization actually means to digital product companies, please let us know what it means to you? Do you think it works or maybe that it really cannot work at all? Do you even understand what it means? Please share your experiences, feelings and ideas. Challenge or praise it. Especially if you are seeing red and your head bursts, share your feelings with us. It doesn’t matter who you are, e-mail them to petteri@synble.com or just drop a comment here. We will discuss about these topics and publish best of them here and in our upcoming e-book about Lean Localization!